2017 was a year of dramatic change in the UK electricity market. Overall, total UK electricity consumption fell 2.8% compared to the previous year: 264 TWh compared to 272 TWh in 2016. This follows the long-term trend of decreasing peak and total yearly energy use, while the proportion of renewable generation continued to rise: 2017 smashed 13 clean energy records, low carbon generation exceeded fossil fuels, and the resulting trend for negative prices (as recent as last week in Germany thanks to high wind) looks set to continue. Last year also saw a fall in the strike price for new offshore wind power to £57.50/MWh. Considering the government’s guaranteed price for Hinkley Point C is £92.50/MWh, it highlights just how competitive renewables, and particularly offshore wind, now are. However, the system must be able to cope with the intermittency that all this cheap, carbon-free power brings. 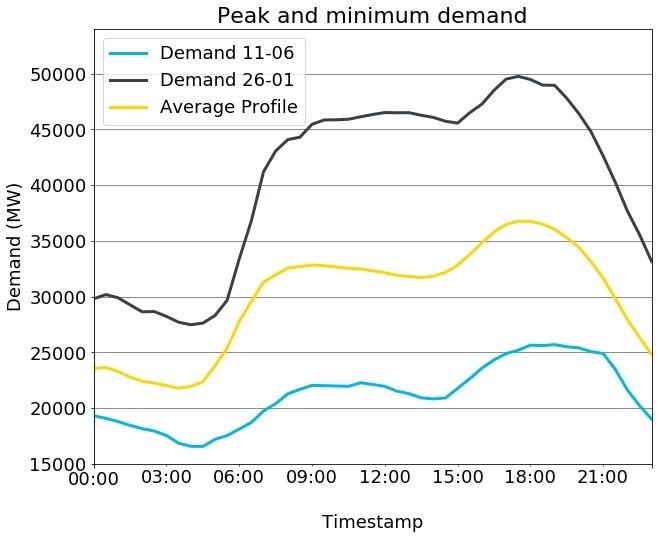 Figure 1 shows the huge variation in demand over the year: from peaks of nearly 50GW on winter evenings, to troughs of around 17GW on summer nights. Figure 2 shows the average daily profile of consumption. In 2017, the prize for peak demand goes to January 26th, which came in at 49.76 GW at 6pm. Compare this to the profile of June 11th, the day that the UK used the least energy: at 5am, it was 16.57 GW. This swing of over 30 GW presents many challenges for the system operator as more and more of the generation becomes intermittent and demand patterns shift: there is value in being flexible with one’s electricity consumption. Figure 1. Daily demand over the year, and smoothed trend over the year. Figure 2. Peak and lowest demand of 2017, compared to the average daily profile. Historically, our electricity system has been built to cope with the peaks; and paying for this network accounts for around 30% of your electricity bill (and rising). What if, by being a bit smarter about when we use our electricity, we could flatten the swing out a little? Or better still, align it to renewable generation? 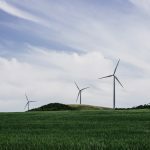 This is where demand flexibility comes in, empowering consumers and playing a vital role in providing the responsiveness needed to cope with huge swings in renewable generation as it makes up more and more of the UK’s generation mix. 2017 will be known as the break-through year of batteries and electric vehicles (EVs). With the dramatic fall in battery prices we’ve seen a rush of parties buying up battery capacity, hoping to profit from what were lucrative flexibility markets. 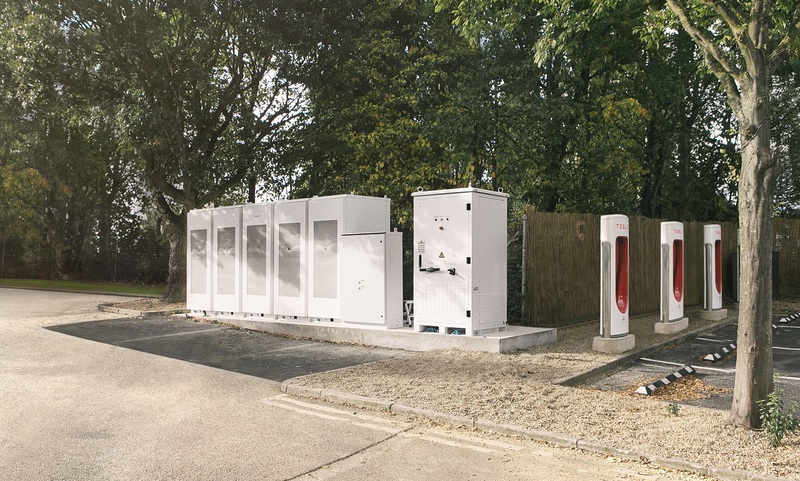 National Grid have seen batteries flooding into the Firm Frequency Response (FFR) market, attempting to secure profitable long-term contracts to satisfy investors. Market dynamics mean this is increasingly challenging. In a rapidly changing marketplace, a variety of revenue streams must be considered. Battery operation must encapsulate multiple markets to insure against future movements and maximise profits, while ensuring safe and careful operation of the asset such that state of charge, warranty, and connection limits are respected, an area where Open Energi has significant expertise. EV take-up is accelerating more quickly than many estimated – UK sales of EVs and plug-in hybrids were up 27% in 2017 – and the need for managing this additional demand in a smart, automated way is crucial to alleviate strain on local networks. 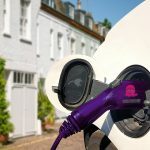 We have explored the enormous potential of EVs to provide flexible grid capacity and are working with a consortium to deliver the UK’s first domestic V2G trial. While in the short term, as the big electricity players try to keep up with the changing needs of the system, flexibility markets present a degree of uncertainty, the long term need for demand-side response (DSR) and frequency regulation cannot be underestimated. As the System Operator, National Grid must maintain a stable grid frequency of 50Hz. Generation and demand on the system must be balanced on a second-by-second basis to ensure power suppliers are maintained. Traditional thermal plant operates with physically rotating turbines, which carry physical inertia and act to stabilise the frequency. With the increase in generation from non-inertial sources (e.g. wind turbines, which don’t carry inertia in the same way, and PV cells), this stability is reduced. Larger deviations in frequency can result in the event of a power station, or interconnector trip, for example. 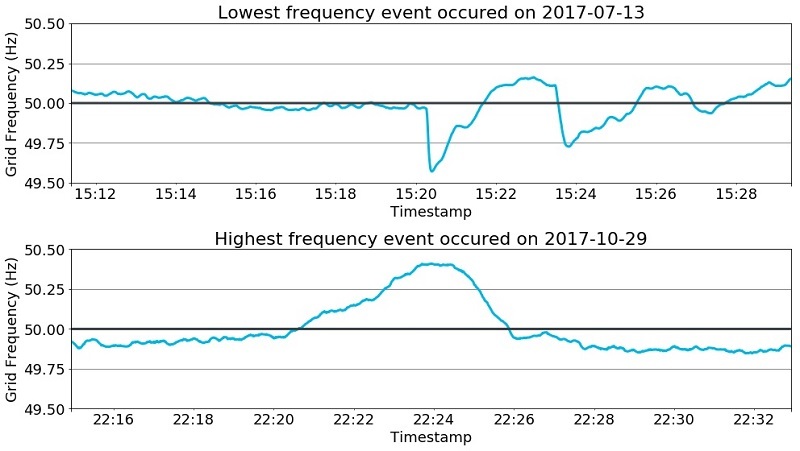 During 2017, the largest low frequency event (demand greater than supply) occurred on 13th July, when it dropped to 49.57Hz. Given that National Grid’s mandate is to keep it within 0.5Hz of 50Hz, this was rather close! Figure 3 shows the period, and we see a sudden drop in frequency which typically indicates the trip of a significant generator. In this case, the fault was at the French interconnector. Here, what usually functions to improve energy continuity and smoothen geographical variations in supply was the culprit for the biggest second-by-second imbalance in 2017! The largest high frequency event (supply greater than demand), during which frequency reached 50.41Hz, occurred at the end of October, was much more gradual and seems to have been due to a combination of several effects. 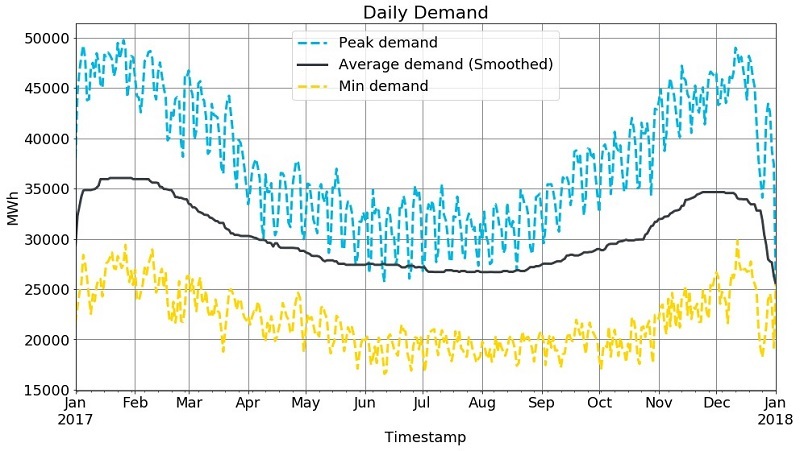 Demand typically drops quite steeply this late in the day, so large CCGT plants are reducing their output and on this occasion a sudden drop in wind-generation seemed to have been over-compensated by pumped storage. Figure 3. Lowest and Highest frequency extremes in 2017. As well as these relatively rare large frequency events, there are excursions that can last for several hours. Figure 4 shows two periods where the frequency deviated from 50 Hz. In general, the average frequency is 50Hz, and therefore any response to frequency regulation averages out to zero. However, over these medium-term time periods the average frequency is not 50Hz. For flexible assets like batteries, that are dynamically responding to correct grid frequency during such periods (performing FFR) the state of charge is affected. For this reason, the state of charge of the battery must be actively, and automatically, managed – so that optimal state of charge is quickly recovered after such events. The battery is then able to continue to perform FFR, or other services such as peak price avoidance or price arbitrage in wholesale markets. The state of charge (bottom panels in Figure 4) can also have strict warranty limits set by the manufacturer. 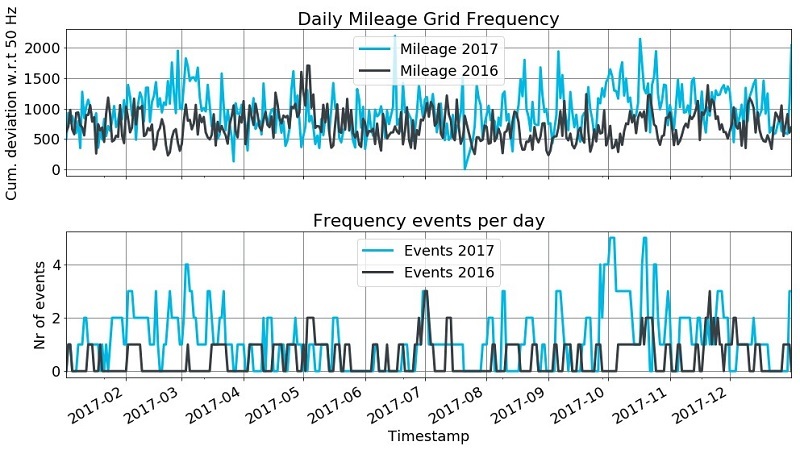 Interestingly, 2017 saw an increase in both the number of frequency events (usually defined as frequency excursions larger than 0.2Hz away from 50Hz), and frequency mileage (defined as the cumulative deviation of the grid frequency away from 50 Hz), shown in Figure 5, particularly during the spring and autumn. Could this be due to the large, somewhat unknown amount of PV on the system? It is distributed, meaning National Grid see PV generation as a fall in demand; they also have no control over it (unlike most other generation). PV efficiency is high in cold weather, so perhaps unexpectedly high and erratic solar generation on cold, sunny days in the Spring and Autumn led to a more unstable system this year, compared to 2016. Figure 5. The grid has experienced more mileage and more events in 2016 than 2017, especially in March and October. Frequency “event” here is defined as a deviation of 0.1 Hz around 50Hz. The rise of distributed generation, accelerating EV uptake, and plunging battery storage costs, are all driving a rapid transformation in the UK’s electricity system. Managing these changes requires new approaches. 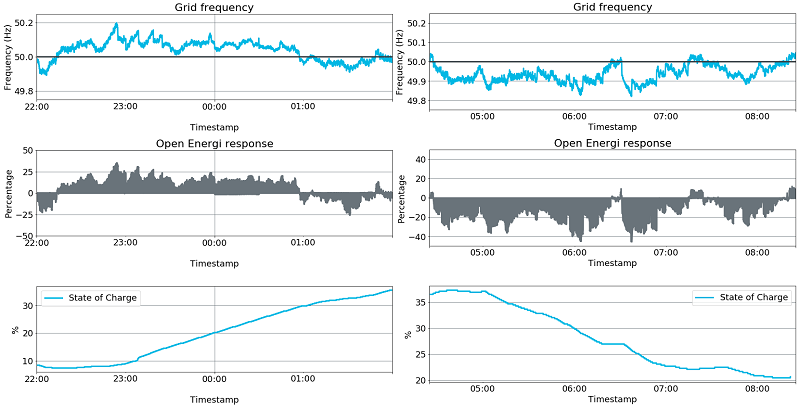 Demand-side response technologies, like Open Energi’s Dynamic Demand 2.0 platform, mean patterns of demand can be shifted in a completely carbon neutral way; enabling electricity to be consumed when it’s being generated: as the wind blows, or the sun shines. Rather than inefficiently changing the output of a gas fired power station to meet demand, we can make smart changes in demand up and down the country to meet generation, deliver local flexibility, and put consumers in control of their energy bills: delivering completely invisible, completely automated, intelligent DSR which paves the way for a more sustainable energy future. For demand here and throughout this post we use INDO values as reported by ELEXON Ltd.